Download & Install CPH1609EX_11_A.25 Firmware update For Oppo F3. If you own Oppo F3 Smartphone then you can update it to latest OS using the Below Instructions. Here we Share CPH1609EX_11_A.25 Firmware update For Oppo F3 with update Instructions. CPH1609EX_11_A.25 Firmware update For the Oppo F3 Come with Latest Google Security Patches, What’sApp clone Login also Fixed in this Version. You can Check Complete Changelog From Changelog Section. 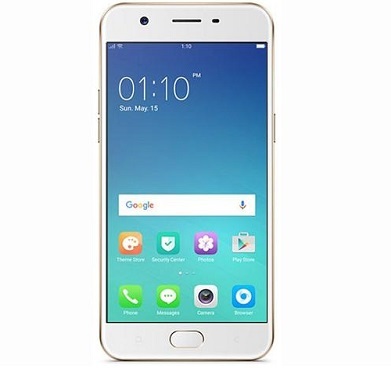 Oppo F3 Smartphone is Run on android 6.0 OS Which is Powered by a Mediatek MT6750T Processor. it is a dual SIM (GSM and GSM) smartphone that accepts Nano-SIM and Nano-SIM. Connectivity options include Wi-Fi, GPS, Bluetooth, USB OTG, FM, 3G & 4G. the Oppo F3 Smartphone Come with 4GB of RAM and 64GB of Storage can be expandable via SD card. 1. Ensure that Your Device at-least 50% Charge During Flashing Process to Prevent accidental Shut Down. 4. Flashing the ROM Will Erase all Your Personal Data including Storage. So we advice You to First take a Complete backup of your Phone. Optimize GPS performance, improve the stability of the system. Download Firmware update Package From above and Move it to Device Storage. Now Switch Off Phone and together Press Power and Volume up Button until Oppo Logo appear then Release Your Phone booted in Recovery mod. Now Select Install update and then Locate Downloaded Firmware File From Storage. Click Install. wait until Success. then Reboot System Now.